To celebrate Chinese New Year, Rainbows Hospice for Children and Young People has joined with Gable Events to launch the 11thNottingham Riverside Festival Dragon Boat Challenge! 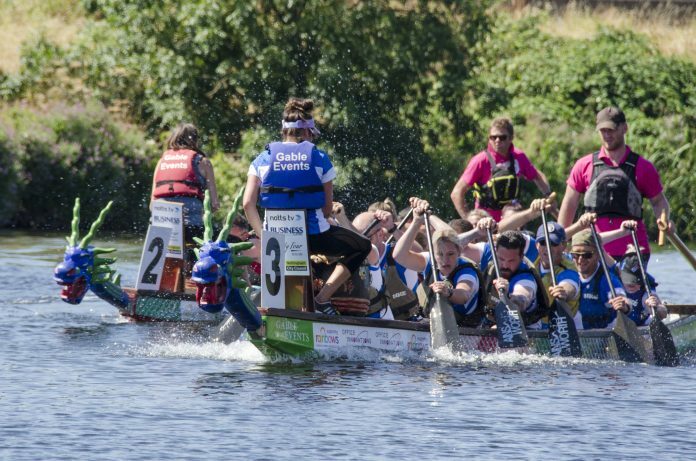 The 2019 Dragon Boat Challenge takes place on Sunday 4thAugust as part of the annual Riverside Festival and is one of the largest and most eagerly anticipated team events in the region. Up to 50 crews from all over the East Midlands are expected to battle it out over the 200m race course.